Aim The aim of this study was to evaluate the quality and value of web-based information on advance directives. Internet-based information on advance directives was selected because, if it is inaccurate or difficult to understand, patients risk making decisions about their care that may not be followed in practice. Method Two validated health information evaluation tools, the Suitability Assessment of Materials and DISCERN, and a focus group were used to assess credibility, user orientation and effectiveness. Findings Only one of the 34 internet-based information items on advance directives reviewed fulfilled the study criteria and 30% of the sites were classed as unreadable. In terms of learning and informing, 79% of the sites were considered unsuitable. 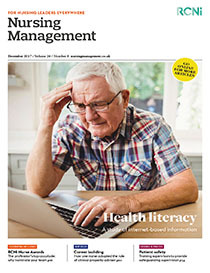 Conclusion Using health literacy tools to evaluate internet-based health information highlights that often it is not at a functional literacy level and neither informs nor empowers users to make independent and valid healthcare decisions.